Quantifying the quality and worthiness of a product can be a difficult business. With no set industry standard on how products should be reviewed, it can be as difficult for readers to understand what they read as it can be for critics to place a numerical value on the quality of a product. 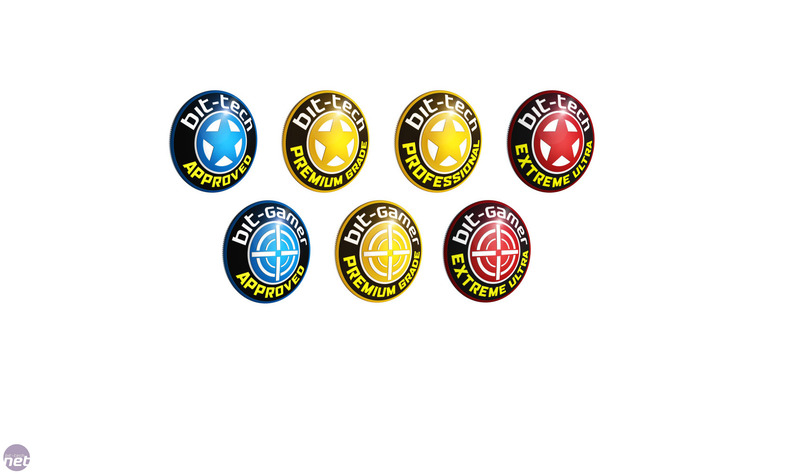 For some time now, the writers of bit-tech and bit-gamer haven’t been entirely satisfied that the current scoring system (scoring out of 10) enabled us to clearly communicate the subtle difference between the products we review every day. In recent years the market has been flooded with a huge number of subtly different graphics cards as AMD and Nvidia fill in the gaps in their product ranges, for example. AMD now has five different Radeon cards in the £90 to £150 price range, while Nvidia has four GeForce-branded cards. Clearly a scoring system that limits us to ten different scores simply isn’t accurate or flexible enough to deal with such a situation. So, for the last few months we’ve held an extensive set of meetings that saw us arguing over which scoring system to adopt across the whole Custom PC, bit-tech and bit-Gamer brand. Should we score out of 100? Out of 10? 20? 50? Decimal places? Ultimately, we reached the consensus that scoring out of 100 was the way to go, as this provides greater granularity than scoring out of 10. Scoring out of 100 also has the added advantage of being the most easily understood scoring scale, as we all use percentages on a daily basis. We’re also changing the way that overall scores are presented, as we feel that the current scoring system fails to adequately communicate that the overall score is not an average of the breakdown scores (i.e. Speed, Features, Value), but instead a weighted calculation. We’ve always weighted the Overall score, as some metrics are more important than others - Speed is more important than Features for a CPU, for example. However, because we never explicitly stated that the score was weighted, a lot of readers assumed it was an average. Therefore, rather than hiding these calculations, the new system brings them out into the open as a core part of the score box at the end of every hardware review. This means that readers who want to know more about the product can easily see these breakdown scores and, as they all add up to 100, how they influence the overall score. The only time you won’t see any breakdown scores is in game reviews on bit-gamer, as we don’t think that it’s as helpful rating the specific aspects of a game, which is inherently more subjective. Given that we’re overhauling the scoring system, we also thought that now was a good time to update the bit-tech and bit-gamer awards. There will be four new awards that hardware and games can aspire to win, ranging up the Scale of AwesomenessTM. The first of these is the Approved award, which is given to products that do a great job for the money. Next up is our Premium Grade award, which is bestowed on products that are utterly desirable – we’d eat nothing but beans until we could afford them. For the occasional workstation and server products that we review we’re also introducing the new Professional award, which is broadly similar to the Premium Grade award, but more enterprise focused. Our final new badge is the Extreme Ultra award, which is reserved for gloriously over the top products that are unsurpassed in a particular area, but bear a caveat that means we can’t recommend them to everyone. This is a big change for bit-tech and bit-Gamer, as well as for our print publication, Custom PC. If you have any questions about the award system or how our new scores will work, we'll be happy to answer your queries in the comments thread.